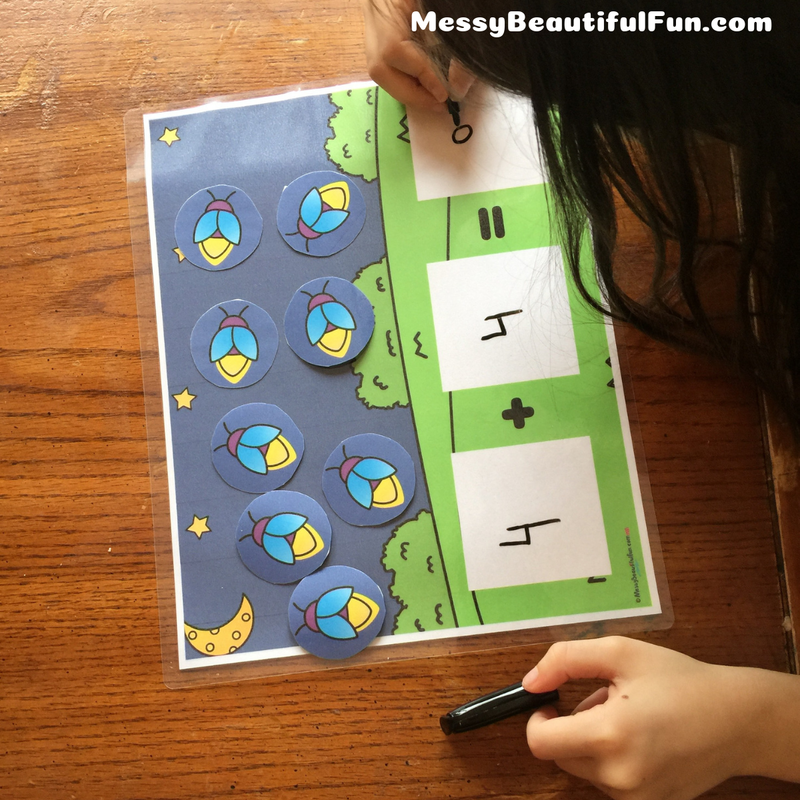 One way I have been making our days a bit more fun is by including some math games for the two younger kiddos - my 1st grader and kindergartener. This week I made them this fun Fall-themed Math Mats. 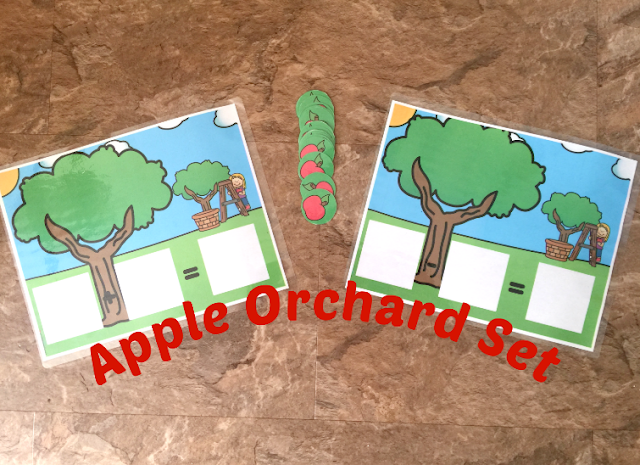 This set comes with four different background scenes and counters. 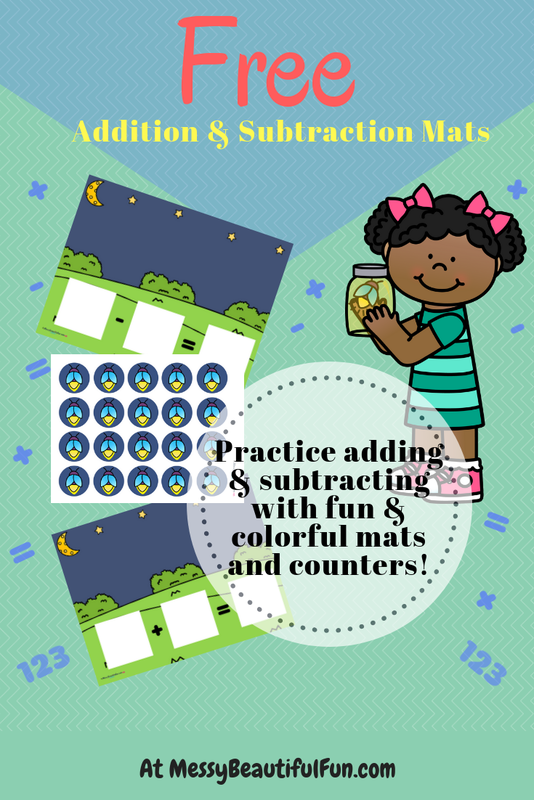 Each scene has an addition mat and a subtraction mat. You can grab the firefly one as a freebie, and Get the whole set here for just $1! 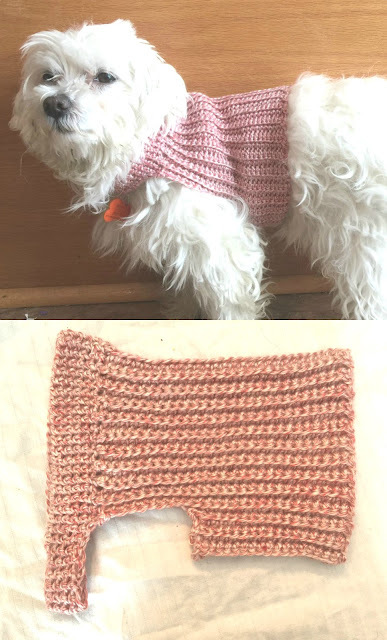 These are the firefly mats (and this weeks freebie! Scroll to the bottom of the page to get it). You start out by writing in numbers on the bottom for your child to use, or your child can write the numbers in themselves. You then add in the counters - in this case, the fireflies - and either add some more or take some away for subtraction. My girls had so much fun with them last week! They're great for practicing writing numbers too, as my youngest did here. We didn't quite get to adding them yet with her, she just loved counting them out! It's such a fun way to practice addition and subtraction facts! And you can print out as many counters as you need too. We love to laminate ours for durability. You could also add in some velcro dots if you want the counters to stick on. This is the apple tree mat. 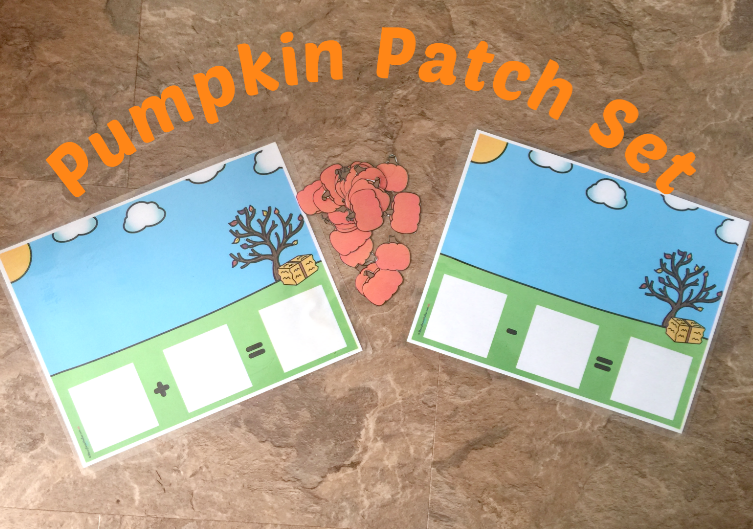 Here is the pumpkin patch mat. They especially love this one - who doesn't love to see some pumpkins in Fall! 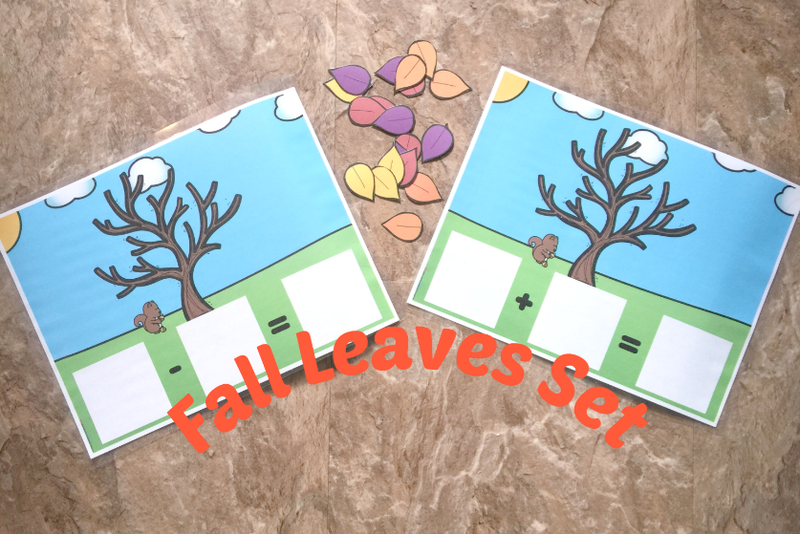 And finally, this is the fall leaves mat, where you can add or subtract some pretty fall leaves onto the tree or ground. If you don't want to use the counters, you could also replace them with play dough, blocks, plastic chips or even a few treats! You can download the Firefly set for FREE by clicking here! And you can get the entire set in my TPT store for just $1 here!